We are working with Cire Community School year 9 students to progress on our Earth building Demonstation Walls. Currently they are building a poured earth wall. 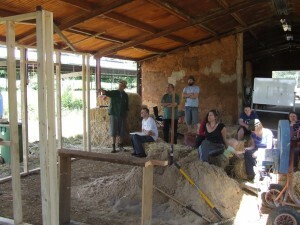 We already have Hemp Crete and Straw Bale demonstation walls available to see. They will also be building bottle walls, earthbag walls and more.